If your students have to take any sort of on-demand writing assessment (PARCC, Smarter Balanced, English proficiency tests for ELLs, etc. ), you know how important it is for them to be able to analyze the prompt to determine exactly what they are being asked to write. You also know how challenging this is for many students! This 56-slide PowerPoint was designed with these students in mind! 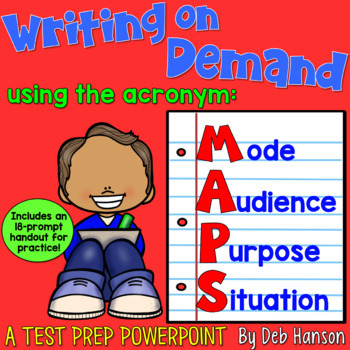 I also introduce an acronym- MAPS- which helps students analyze prompts. Slides 50-56: Read a prompt and identify all 4 MAPS pieces. Along with the PowerPoint, there are THREE ADDITIONAL BONUS FEATURES! 2. 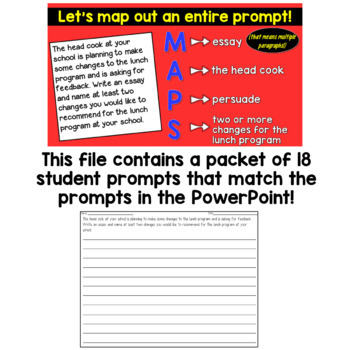 MAPS Student Handout- These are ideal for formative assessment, as you can use give each student a handout and a prompt, and ask them to analyze it. 3. 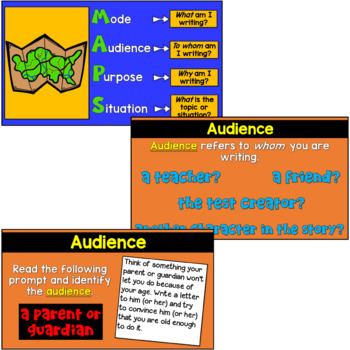 Student MAPS bookmark- This can be helpful for students who need to refer to the acronym in the future. I received the following note from Kaitlin regarding this resource: I wanted to post a comment for other teachers who might be in a similar situation. Our state writing test requires students to read two text and then write an on demand writing response. 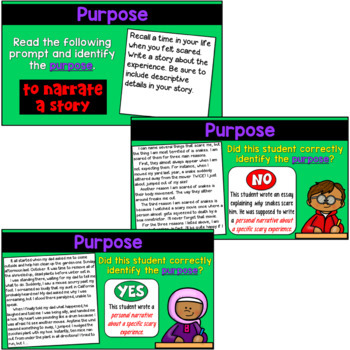 I was able to use this PowerPoint as well as your amazing paired text passages to create perfect practice prompts with reading. I would encourage you to share this option with your followers as it was a game changer. Thank you! This PowerPoint cannot be edited due to the copyright requirements made by the contributing artists (clip art, font, background).